HomeFrequently Asked QuestionsWho Regulates the Cruise Line Industry? As a maritime law firm, we often find ourselves discussing the minute details of the cruise industry with our clients. After all, individuals who have been injured aboard a cruise ship are often looking to gain an understanding of their rights after an accident. And we are happy to assist clients in grasping even the most complex intricacies of maritime law as it pertains to their situation. Over the years, we have encountered a wide range of questions, many of which in regards to industry facts and statistics. This makes sense, as these concerns may be on your mind well before you depart, and will especially be relevant if you’ve been injured. So if you, like many others, have been wondering, “Who regulates the cruise line industry?” then you are not alone. As it turns out, there are a number of organizations that regulate this industry. The first, and perhaps most notable of which, is the International Maritime Organization (IMO). The IMO is a United Nations agency that is responsible for governing the safety and security of shipping as well as preventing vessel pollution. Since 1948, this governing body has focused on maintaining safety on the seas, as well as reducing the potential for maritime pollution–two major problems that impact cruises today. Another UN specialized agency that assists with governing the cruise line industry is the International Labor Organization. Established in 1919 and recognized as the first UN specialized agency in 1946, the International Labor Organization governs work conditions for crewmembers aboard all maritime vessels. This is especially important, as no one can enjoy a cruise with the knowledge that working conditions for employees are sub-par. The Cruise Lines International Association is another major governing body for this industry; however, it is not a “regulator”. According to their website, CLIA are an organization “that supports policies and practices that foster a safe, secure, healthy and sustainable cruise ship environment and is dedicated to promoting the cruise travel experience.” However, CLIA is really an industry trade organization made up of its member cruise lines – including the world’s largest cruise lines – which often engages in heavy lobbying efforts to decrease and shape proposed regulation by the United States Legislature on the cruise lines. CLIA’s standards are reportedly voluntarily complied with by its members. But on-board conditions and passenger safety is only one part of the puzzle. If you’re concerned about the environmental impact of your cruise, Friends of the Earth is an unofficial regulatory body that scores cruise lines based on their impact on the environment and human health. In the 21st century, this is an especially useful resource for individuals seeking to travel as consciously as possible. Unfortunately, despite the efforts of the IMO and the ILO, (and thanks to the efforts of industry organizations like CLIA), the cruise industry remains highly unregulated and many antiquated and inequitable laws still apply to the industry. Examples of this can be found in the fact that the world’s second largest cruise line only recently “decided” to place lifeguards on its vessels (while the world’s largest cruise line still declines to do so). And one of the most inequitable Acts still applies to cruise ships: The Death On The High Seas Act – which denies the survivors of someone who dies as a result of an incident occurring on the high seas any non economic damages (read: pain and suffering) – despite this inequitable law having been repealed for those who die as a result of an incident occurring over the high seas – in an airplane. Unfortunately, accident and injury still occur at sea far more often than it should. Industry regulations and standards are often not met and innocent individuals become victims of cruise line negligence. 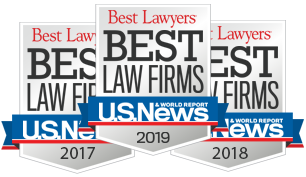 As a result, it is important to know that, if you are seeking a maritime attorney who understands what you are facing, our team is here to help. We have assisted clients with a wide range of cases against many major cruise lines, and we are ready to do the same for you. So when you are ready to take the next step towards a brighter future, do not hesitate to contact us.